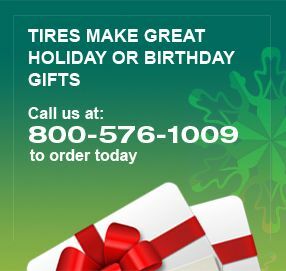 Nokian Entyre Tires at Discount Prices - Free Shipping! • Completely HA-Free tire - Only purified low-aromatic oils have been used in the production of this tire. Nokian Tires has succeeded in becoming the world’s first tire manufacturer to produce a clean tire with excellent wet grip and other safety properties. • Driving safety and aquaplaning indicator - The driving safety indicator on the center rib of the tire indicates groove depth in millimeters. The numbers fade one at the time as the tire wears down. The aquaplaning indicator on the center rib draws the driver’s attention to increased risk for aquaplaning. The indicator droplet disappears when groove depth wears down to less than 4 mm. 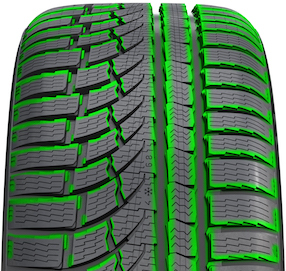 • Made of Environmentally friendly materials- a true "Green" tire - A completely new tread rubber compound where toxic and highly aromatic oils have been replaced. • Silent Groove Design - Tire noise has been reduced with several different solutions. Drive-by and cabin noise have a pleasant tone. • The Mud Stopper - The mud stopper prevents damage to the tire by stopping dirt and other objects from getting caught between the tire and the rim. Available in 15" and bigger sizes. • Inside-Outside Design - A different pattern is used for the inside and outside shoulder design which improves tire handling on wet and dry road surfaces. • 3D self-locking siping - The self-locking siping located in the central rib progressively supports the tire in the lateral and longitudinal direction, and particularly improves driving stability and wet grip.